We can see a production line process in the factory. It looks huge and there is a big piece os fabric displayed there. Wide-angle shot. 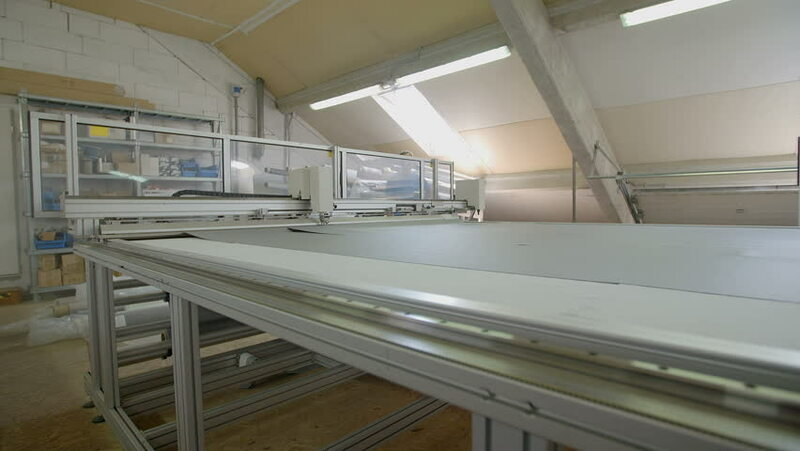 hd00:12A machine is slowly moving on the production line and it is cutting fabric into two separate pieces. Wide-angle shot. 4k00:13CCTV monitoring to fire in boiler systems at biomass power plant. hd00:39CIRCA 2010s - Solar panels are manufactured in a factory.